It's a very challenging job, but it's also the most rewarding job I could have. I qualified as a Speech and Language Therapist in 2016, and initially worked for the NHS in mainstream schools and nurseries. Although it taught me a lot, I knew I wanted to specialise with students with highly complex needs. I moved to BeyondAutism in March 2018 and have found my perfect job here. The staff commitment to working for the pupils is unlike anywhere else I’ve seen, and it’s really rewarding to see the progress they make because of it. I’m so proud to be part of such a varied multidisciplinary team that brings expertise from all areas to support our students make the best progress possible across all aspects of their learning and independence. 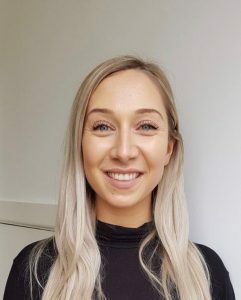 As a Speech and Language Therapist my primary role is to support students with their attention, social interaction, language understanding and use, and speech sound development for those who are vocal. A huge part of the job is deciphering which means of communication is going to be the most beneficial for the learner; ranging from iPad apps, to PECs, to speech, and sign language. To see students accessing their best form of communication and seeing their personalities and quality of life developing because of it is the best thing in the world. Take a look at the current vacancies we have available today!